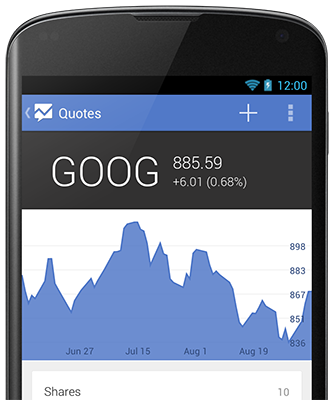 Track your investments with ease in the most beautiful stock app around. Quotes gives you the information you need and the simplicity you’ve been looking for. We are a lean team of talented people who love to make beautiful, useful apps. We use the latest tools and standards to run at optimum efficiency, and focus on thoughtful user interactions and pixel perfect designs. We love finding interesting problems and solving them in creative ways. We'll take an everyday solution and apply a unique twist and a beautiful design. Our aim is to stand out. 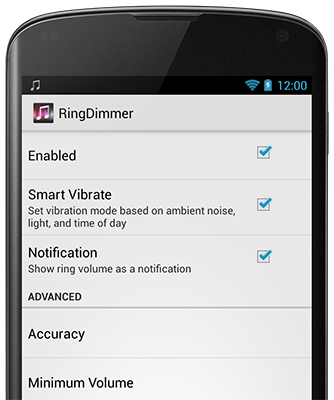 shows the true potential of ICS / JB design. apps on my phone. Very responsive dev too.